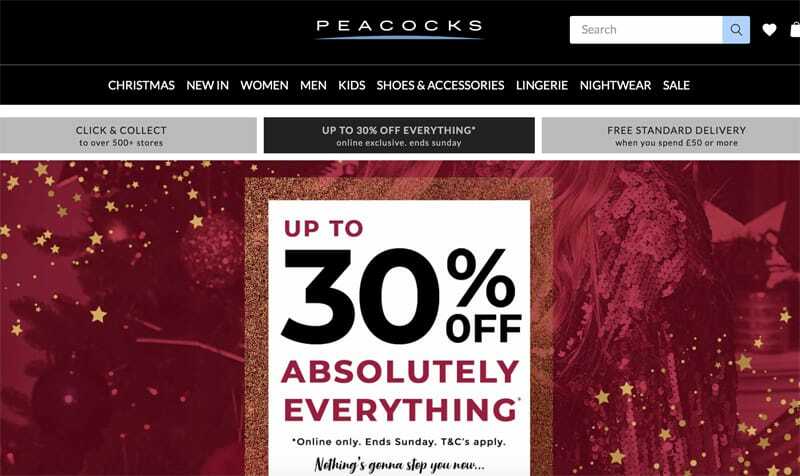 It’s not often you can get up to 30% OFF absolutely everything online at Peacocks, so this is an offer you might want to take a closer look at, as the sale started online today with some lovely gifts and clothing discounted. While Peacocks is known for their good priced clothing for adults and kids, you might not know about their Christmas range, which includes lots of unique gifts perfect for Christmas stocking fillers. There’s also some amazing ladies and men’s Christmas jumpers, as well as matching sets. Peacocks started their up to 30% Off sale on Thursday 29th November, which runs until Sunday 2nd December 2018.